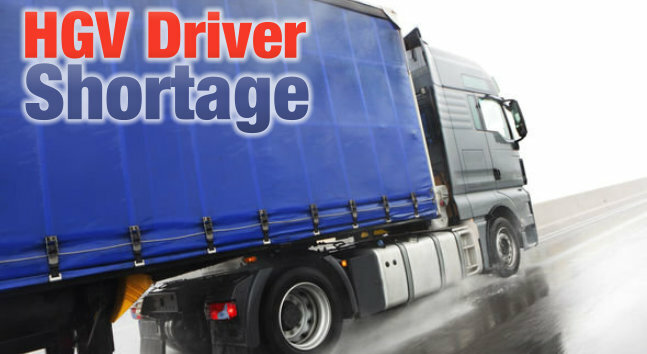 In the UK right now there is a shortage of licensed, qualified HGV drivers. This is having an impact on the haulage industry as well as the UK economy and it currently shows no sign of improving. The UK is currently 60,000 HGV drivers short and it is predicted that by 2020 there will be a shortfall of 150,000 drivers. With the average age of HGV drivers being 53, much older than the national average, and only 2% under the age of 25 many drivers are coming up to retirement while not enough young drivers are coming through to replace them. The HGV driver shortage is limiting the haulage industry’s ability to deliver high quality services. If something isn’t done to attract more drivers to the industry the shortage will have a huge impact on goods being delivered around the UK and beyond. What are the causes of the HGV driver shortage? There are many factors that are contributing to the shortage of qualified drivers, here are some examples that have been attributed to the shortage. With an average age of 53 and 13% of HGV drivers over 60 a lack of new drivers coming through to replace the retired ones is a big concern. The economic growth both nationally and internationally has increased the demand for HGV drivers to move more goods. The introduction of the controversial Drivers CPC has meant experienced drivers are required to take extra training. This was seen as too much for many drivers who chose to retire rather than complete the Drivers CPC. Haulage and logistics isn’t traditionally seen as the industry of choice for people looking for a career. It is hard to escape the impression that roles within the industry mainly involve moving and lifting. The problems at the French port are having a negative impact on the industry as a whole. The press coverage accompanying it has shown the nation that being a HGV driver can be dangerous. There has been several incidents of drivers being threaten and intimidated by groups of desperate migrants trying to gain access in to their lorries. This kind of bad press will definitely impact the perception of the HGV drivers role. There are a few things that a potential HGV driver has to pay for just to become qualified. The cost of the driving tests, medical, initial Drivers CPC and a digital tachograph card. All these costs before even finding a job acts like a huge barrier and most people interested in becoming a HGV driver just don’t have the funds upfront. For the potential earnings of the job the upfront costs are hard to justify. There seems to be a lot of concern from existing HGV drivers about the conditions they work in. A lack of acceptable facilities such as clean, working toilet facilities in service stations and secure, safe lorry parks is not helping existing driver morale and retention. The Labour government opened the floodgates to the EU workforce around 10 years ago and since then an influx of foreign HGV drivers who will work for much less has made it very difficult for a UK HGV driver to make a good wage. Haulage operators are choosing to bring in drivers from the likes of Poland and Lithuania as they can pay them less rather than opting for home grown drivers. Due to this wages within the industry seem to have stayed low even though there is high demand. Many haulage operators will not take on drivers under 25, even though they are qualified, as the insurance premiums would be too high. This is another barrier which is preventing young people becoming HGV drivers. The long hours and time away from home is definitely having an impact on the amount of people joining the industry. There needs to be a better work/life balance so that drivers do not have to spend so much time away from their friends and family. What do the drivers think is the cause of the shortage? As the drivers are the ones currently working in the role where there is a shortage we thought it would be a good idea to ask them to comment on what they thought the main reasons behind the driver shortage were. In 2 hours they was just under 100 drivers putting their comments across. This is just a few examples of what the drivers think of the HGV driver shortage crisis. These are just a few examples of the comments from the drivers, there were also a handful of drivers who believe there is no driver shortage, just a lack of operators willing to pay fair wages. It is interesting to see the difference in opinion of what the the main issues are when you compare the drivers response to that of the transport operators. Here are some of the results from the CILT driver shortage survey conducted in January 2015. You will clearly see that a number of these drivers are mentioning poor wages, yet when the transport operators were surveyed they do not see the wages as much of a cause. Both drivers and operators seem to agree that the facilities are poor and there are too many financial barriers. What are the associations doing to help combat the driver shortage? 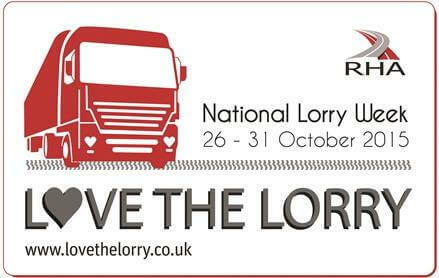 RHA launched ‘’Love the Lorry Week’’, which ran from 26th – 31st October, to raise awareness of the importance of the road freight industry and how essential HGV drivers are. They are hoping that they can come up with some ideas to help attract new people to the industry as well as retain existing workers. You can find out more about this free to attend summit here. The Chartered Institute of Logistics and Transport have been looking at the HGV driver shortage and in January 2015 published the results of a survey they conducted with their members. The findings were stark. 74% of participants reported experiencing a driver shortage, with the shortfall mirrored in each region of the UK. 65% reported that their business had lost work as a result of the shortage and the majority were ‘very worried’ of long term viability unless the situation improves. View the results of the driver shortage survey here. 1) A concerted effort by industry and government is needed to improve the public perception of the sector. The crucial role road haulage plays in the economy and a committed programme to improve promotion in schools and colleges and through schemes such as trailblazers should be highlighted by both government and the sector. 2) However, the message will ring hollow if steps are not taken to improve the welfare of drivers. Improvements in the provision of trunk road service areas with appropriate facilities is needed to demonstrate a basic respect for the profession. Further steps should be taken by the industry to build on recent successes to improve safety and reduce confrontation with vulnerable road users, as every headline of conflict further entrenches negative perceptions. 3) Greater investment must be made in training. The Driver CPC has been seen by some as a partial cause of the driver shortage, but experienced trained, and respected drivers provide the foundations for improving the image of the sector and a greater supply of drivers. Raising awareness of the value of the profession and raising the levels of respect of those who practice it will be a major step forward in aiding recruitment. 4) The industry must acknowledge and put in place a strategy to combat the overwhelming diversity imbalances. If 50% of the population fails to see a career in road haulage as a viable option the sector will struggle to solve the shortage crisis. Industry, regulators and government must work to find a means of unlocking this significant source of latent potential. 5) Steps should be taken to simplify the driver certification process and methods found to manage costs. Proposals of student loan style funding streams along with greater industry support must be investigated. Innovative solutions need to be explored to attract and retain young people in what is a well-paid, challenging and vital service to everyone in our economy. At the beginning of February 2016 the CILT were called to appear before the committee to give evidence. Jolyon Drury of the CILT was joined by Adrian Jones from Unite the Union. Jolydon stressed the urgent need for sufficient truck stops in busy areas and that this is a matter of public health. Jolyon claimed that the negative image of the industry is intensified by this neglect of simple and necessary facilities for drivers to protect their health. When asked to summarise the three main issues presenting the driver profession both Adrian and Jolyon agreed that the negative work/life balance, facilities and the lack of career progression were major issues in attracting new recruits to choose a career in professional driving. What are the Government doing to help solve the driver shortage crisis? In September 2015 the Government launched an inquiry into the driver shortage. They instructed the Transport Committee to conduct an inquiry into skills and workforce planning in the road haulage sector. The Committee's objective is to investigate what action Government has taken to address industry concerns about a lack of skilled drivers in the road haulage sector, and assess how effective the Government's response has been. You can review the latest evidence that has been submitted to the inquiry here. At the end of 2015 the Government finally, after a 3rd submission, approved a HGV driver Trailblazer apprenticeship scheme. Although this has been approved the industry associations are still pushing for the government to confirm that the licence acquisition is included in the scheme. "The positive news was that the Minister confirmed that the LGV Trailblazer Apprenticeship has been approved. The challenging area concerned the need to convince government that the apprenticeship funding must cover the cost of training for the licence acquisition and for an emergency £150 million funding package to be made payable direct to hauliers. "I emphasised to the minister that an apprenticeship which failed to cover the training costs associated with licence acquisition was about as much use as a truck without an engine." “FTA has been stressing to Government the importance of the HGV Driver Apprenticeship for a long time now, particularly in light of the Apprenticeship Levy so we are pleased that this standard has now finally been approved. If something isn’t done soon to combat the HGV driver shortage the problem will start to impact the whole country. With the next round of the Driver CPC in 2019 if things haven’t improved we can expect to see a wave of driver retirements.